Partnering with a mission-driven, entrepreneurial team to build the leading Wholesome Natural pet food brand. Bill Bishop and his sons Billy and Chris founded Blue Buffalo to honor their beloved family dog, Blue. The Bishop family became increasingly concerned with the quality of Blue’s food when Blue had a bout with cancer at a young age. Being successful serial entrepreneurs, in 2002 they founded Blue Buffalo to make the kind of food they would want to feed their own furry family members. They made it their mission to bring transparency to the pet food industry by educating pet parents to look beyond the pictures on the packaging and to focus on the actual ingredients in the food they are feeding their pets. One of the largest CPG categories, pet food industry is highly competitive. While it is fragmented at the brand level with over 100 brands with sales exceeding $10 million in the US alone, two mega CPG companies control over half the global market. In early-to-mid 2000’s, the Wholesome Natural pet food segment, which focused on higher quality ingredients, started to emerge. The early players in the market had good intentions, but lacked the capabilities, strategy and resources to introduce the broader market to Wholesome Natural pet foods, scale up and capture significant share in the market. While the major players had already started entering this market segment, we became convinced that it would be difficult for them to successfully compete given the inherent conflict with their base business, differences in the supply chains and their lack of authenticity in building a brand in the segment. When we met Blue Buffalo in 2006, we saw that we shared the same vision with the Bishop family and we decided that if we invested ahead of scale and educated pet parents, BLUE could become the leading brand in this fast growing market segment and eventually a leading brand in the overall pet food industry. Invus became the financial sponsor and largest shareholder of Blue Buffalo providing the Company growth equity and strategic guidance. Thanks to unrelenting investment behind its unique go-to-market strategy and focus on its mission of delivering the best natural products to pet parents, BLUE became the undisputed leader in the Wholesome Natural pet food segment at over 4 times the size the next brand. As consumers have looked for more natural products for themselves and their pets, BLUE has become the new mainstream brand in the US and the largest brand of pet food overall. Over-indexing among millennials and puppies and kittens, in 2016 BLUE carried over its leadership to the fast growing eCommerce channel as the “new breed of CPG company” by claiming the #1 CPG brand online title across all categories. Starting with building a true pull-brand, successful channel management strategy has been a key driver of Blue Buffalo’s success in the face of rapidly changing consumer shopping behavior. After taking leadership positions in the specialty channel and eComm, entry into the FDM channel was the natural evolution. Blue Buffalo entered FDM with a carefully crafted entry strategy starting with 4 lead retail partners. BLUE became the top-selling pet food brand at Target within weeks of launch in the Fall of 2017. Blue Buffalo has been able to scale from a start-up to a major pet food company with state-of-the-art manufacturing capabilities and a strong company culture with an organization that calls itself the Herd and refers to each other as Buffs. After the success of its Heartland manufacturing plant, in 2016 Blue Buffalo announced a $200 million capital investment program to build expand and enhance its manufacturing capabilities even further with the building of a second dry manufacturing plant in Indiana and a new treat manufacturing facility in Joplin, both starting operations in 2018. During our partnership, Blue Buffalo grew its revenues from $5 million in 2005 to $1.3 billion in 2017. The Company has achieved best-in-class financial performance with double-digit growth, strong margins and free-cash-flow, and industry-leading ROIC of over 80%. Despite its success to date, in 2017 BLUE had only 6% share of the US pet food market and fed less 3% of pets. The Buffs are committed to continuing to bring more pet parents to the Blue Buffalo family and increase BLUE’s market share in the US and increasingly abroad. Blue Buffalo has become the #1 supporter of pet cancer awareness and research in the United States, which is a fitting tribute to the family dog Blue who inspired the creation Blue Buffalo. In 2012, having reached scale and started improving profitability, Invus led a dividend recap of $400 million to return capital to Blue Buffalo’s shareholders. In partnership with the Bishop Family, we re-committed to continue to build the foundation of a billion dollar business and eventually take Blue Buffalo public. In 2015, we quarter-backed and helped the team navigate through one of the largest and most successful consumer IPO’s over the last decade. BUFF went public in an all-secondary offering of approximately 20% of the Company for $778 million. In celebration of its IPO, the Company made a $2 million donation to the Blue Buffalo Foundation and also awarded shares to all full- and part-time Herd member. 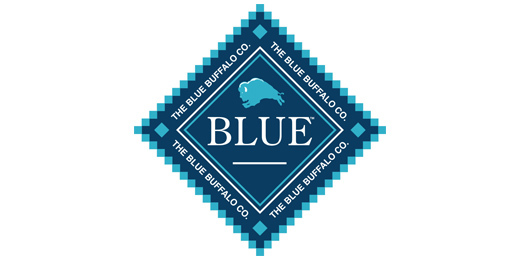 As a public company Blue Buffalo attracted a marquee public investor base given its competitive advantages and unique combination of scale, margin and high growth. With best-in-class investor communication and operating discipline, the Company consistently met or exceeded both its long-term financial targets and annual guidance even in the face of a very volatile retail environment in its base pet specialty channel. In 2018, working with the rest of the Board and advisors, we guided the Company’s sale to General Mills for $40 per share, double its IPO price of $20 per share and at an $8.1 billion enterprise value. The sale price represented over 6x 2017 Net Revenues, which is the highest multiple paid for a scaled food company reflecting Blue Buffalo’s strong brand equity and competitively advantaged business model. Through our partnership with the Bishop family, we grew our $59 million investment in Blue Buffalo into $5 billion realized value over a 12 year period, an 84x return. ►Hear from Founder and Chairman of Blue Buffalo, Bill Bishop, and other owner-managers we’ve partnered with.